Alexis Bledel may have risen to fame as Rory Gilmore in Gilmore Girls, but that doesn’t mean she is ready for the world to know her business. Over the course of her career, she has kept her personal life under wraps – and it seems as though we wouldn’t have even known about her son if her co-star, Scott Paterson, hadn’t opened his mouth. During an interview with Glamour magazine in 2016, Scott let slip that Alexis and her husband had had a child almost a year earlier. That is pretty darn impressive! Anna Kournikova is one of the most famous tennis stars out there, and she sent fans wild when she confirmed her relationship with the Spanish hunk, Enrique Iglesias. Although the couple have been on and off for more than a decade, they showed no hints that they were expecting in 2017. Instead, it was a complete surprise when the couple announced the fact that they had welcomed twins into the world! They have since been more open about their life as parents, and these photos are just too adorable. Eva Mendes and Ryan Gosling are two of the most famous faces in Hollywood, but somehow they manage to keep their personal life out of the limelight. How do they do it? Since playing adorable and rough-around-the-edges parents in The Place Beyond The Pines, Eva and Ryan have welcomed two daughters into the world – and they kept both of these pregnancies secret. 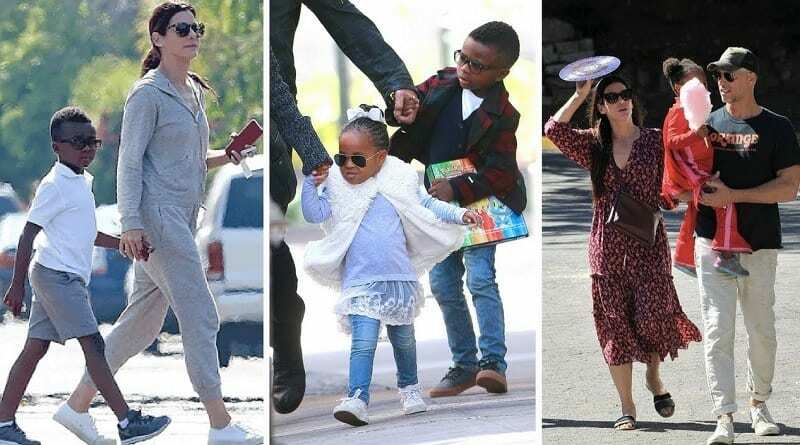 It wasn’t until they just happened to have two children following them around Beverly Hills that fans realized they had become a family of four. These guys need a medal for keeping these secrets. Zoe Saldana has recently become one of the most famous faces in the movie world, but it seems as though she doesn’t like it when her face is splashed across magazines. Because of this, she tries to keep her personal life as low-key as possible – and that’s exactly what she did when she found out that she was pregnant. Her close friends and family were told the exciting news, but it wasn’t until Zoe announced her third arrival on Instagram that the newest member of the Saldana clan became common knowledge. 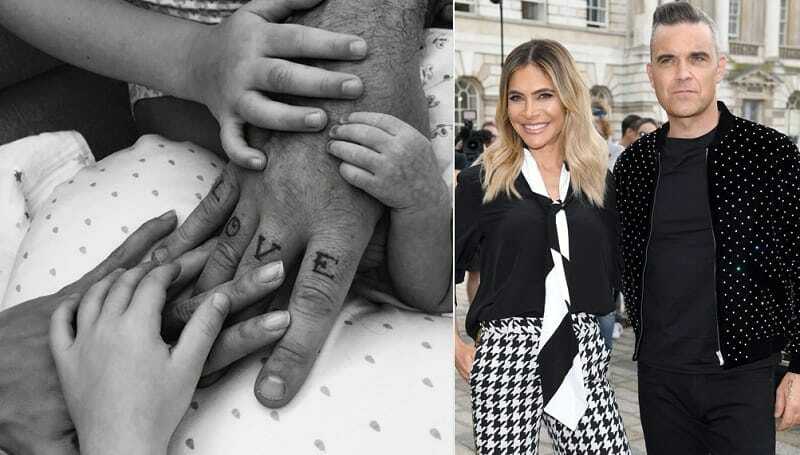 Ayda Field is a famous actress in her own right, but it’s fair to say that her marriage to the former Take That band member, Robbie Williams, has pushed her further into the spotlight. The couple already have two children together – and their daughter recently took on the role of flower girl at Princess Eugenie’s Royal wedding. However, the couple shocked the world when they announced they had welcomed a new addition to their family via surrogate in September 2018. Colette “Coco” Josephine Williams became the newest member of their family band. Over the course of her career, actress Laura Linney knew that she one day wanted to be a mother. As she got older and older, she realized that her chances were getting slimmer. Because of this, when she finally heard the amazing news that she was expecting a baby at 49 years old, she decided to tell her close family and friends and nobody else. She wanted to ensure that her baby was happy and healthy, as older expectant mothers often suffer from complications. Thankfully, she welcomed a perfect little son. When she welcomed her two children into the world with Tom Cruise, Nicole Kidman made no effort to hide their little ones from the media. However, she wanted things to be different during her marriage to Keith Urban. The couple had already welcomed Sunday Rose into the world when they decided to add another to their brood. For this process, they utilized a gestational surrogate – but nobody knew about it until three weeks after she was born! The couple wanted to keep her and the carrier safe and protected from prying eyes. 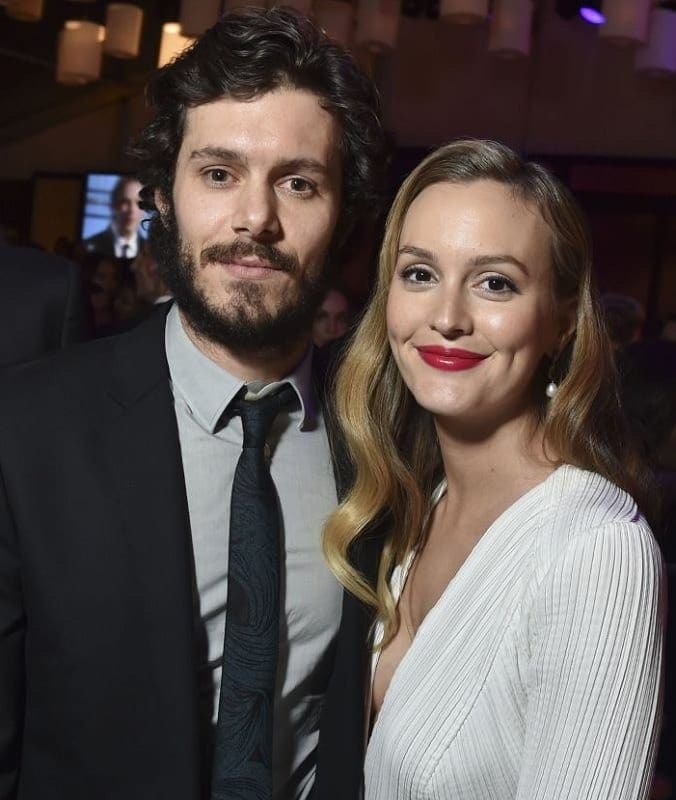 Leighton Meester and Adam Brody created the ultimate teen drama cross-over when they tied the knot in 2014, and the Gossip Girl and The O.C stars soon became our favorite celebrity couple. They famously keep their private life locked behind clothes doors, which is why it should come as no surprise to learn that they kept their pregnancy a secret. In fact, fans had no idea they were expecting until they were spotted walking around town with their daughter in tow. Arlo was born in 2015, and she has been kept away from the paparazzi. Whether you know him as Donald Glover or Childish Gambino, it’s fair to say that this man has it all. He has the fame, he has the fortune, and he has the fan base. That’s why it’s so surprising that he was able to keep the birth of his first son a secret from the world. Donald has been notorious for keeping his personal life under wraps, and he was able to keep Legend Glover out of the spotlight for a whole year before we realized! He’s the master of secrets. Rashida Jones may be a pretty awesome actress, but it seems as though she might want to consider a career change. She could definitely make it as a spy if she ever gets bored of Hollywood, because we had no idea she was in a relationship in September 2018 – let alone a mom! Although we know she’s a mom thanks to a leaked birth certificate, there’s still some speculation around the father. 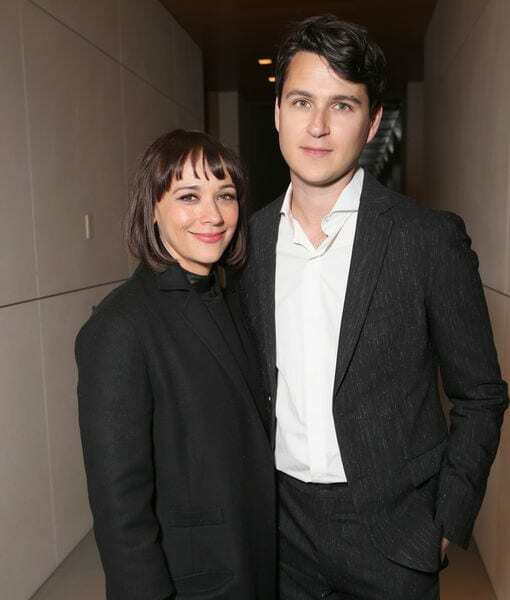 Could it be her rumored boyfriend, Ezra Koenig? They’ve never confirmed their relationship to the masses, so who knows? Sandra Bullock has made no secret of the fact that she loves children, and that she has always wanted to be a mother. In 2010, Sandra adopted her son Louis Bardo Bullock, but she decided to keep the whole process under wraps. Then, she went through the whole process again in 2015. Over the course of a tough few months, Sandra finally adopted Laila Bullock – but she kept this process out of the limelight completely. She wanted to keep Laila away from the prying eyes of the press while she was still so young. It’s always difficult to keep a secret when you’re constantly hounded by paparazzi, which is why Ali Larter and her hubby, Hayes MacArthur, decided to avoid the paps altogether. When they discovered that they were expecting a little addition to their family, they hopped onto a plane and went on an extended vacation. They wanted to enjoy the experience as a couple and didn’t want to share it with the rest of the world. They later announced the arrival of their adorable son, Theodore, when they were ready to. While she may have risen to fame in her home country of Australia, Lara Bingle has since made a name for herself across the world as an international model. Lara and her husband, Sam Worthington, have tried to keep their private lives away from the cameras – which is why we were all surprised when they were spotted with a baby in tow. They weren’t too keen on sharing their baby news on the world, and it even took a few months before they announced his name! The world was on tenterhooks. Hilarie Burton and Jeffrey Dean Morgan are the ultimate Hollywood power couple, and it’s safe to say that we’re totally in love with them. As soon as they tied the knot in 2014, fans were waiting for them to announce the news that they were expecting a baby, but it never came. 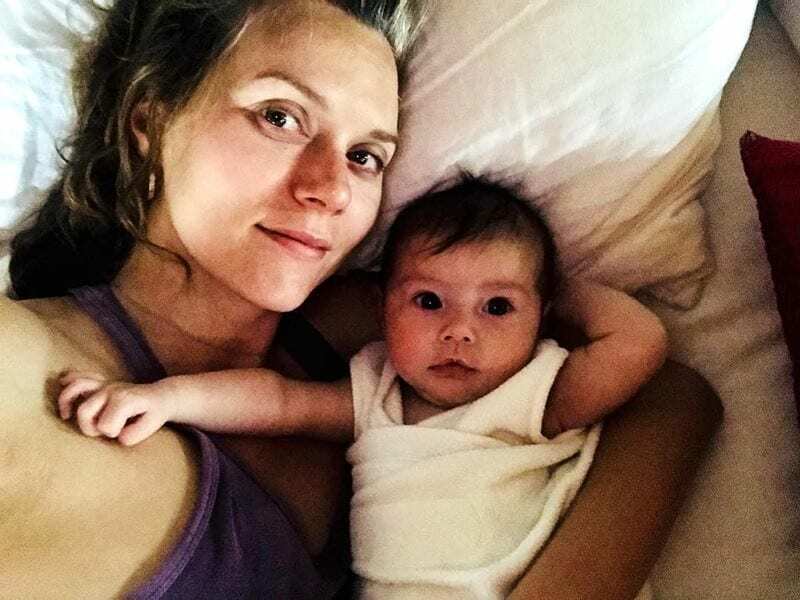 Instead, they were all shocked and surprised when Hilarie instead posted an Instagram announcement in February 2018. Somehow, she had been able to hide her bump and her pregnancy, because they had already welcomed their first child! Ellen Pompeo is no stranger to keeping secrets from her fans. She didn’t confirm her marriage to Chris Ivery until five days after they tied the knot, and they kept the arrival of their second daughter a secret for a whopping two months after she was born! There was no hint of a baby bump for Ellen, as the actress and her husband welcomed Sienna through a surrogate. Because they wanted to keep the carrier as safe as possible, they decided to wait before spreading the happy news that they were parents again. Although Lucy Liu may be a huge name within the world of Hollywood, she has always tried to keep her private life just that: private. Her dating history is rather vague, and she is rarely on social media for us to follow. However, in August 2015, she took to Twitter to announce some very exciting news. 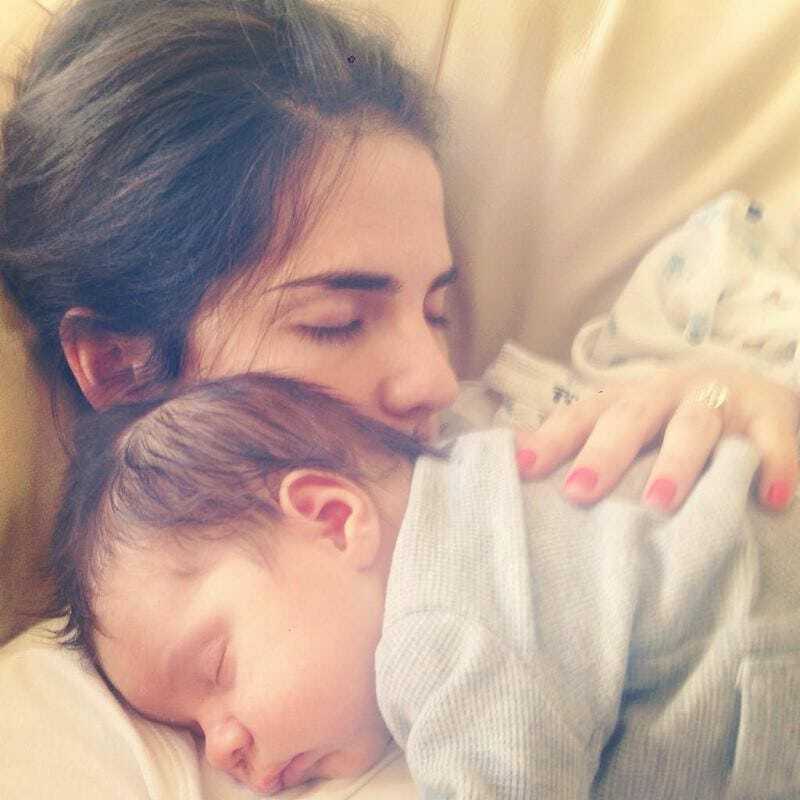 With no man in her life, she decided to take the plunge and become a mother on her own. 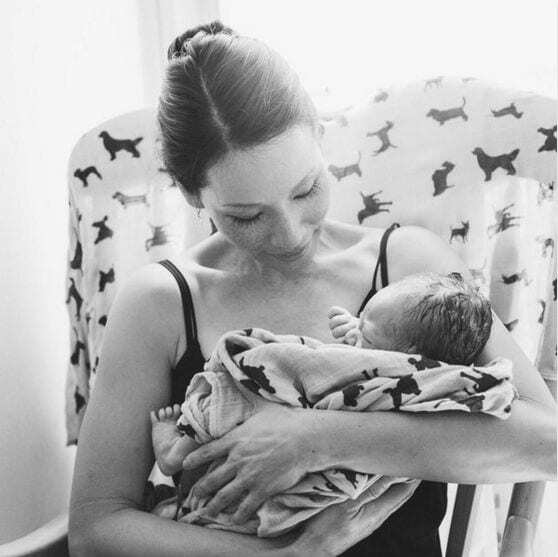 Rockwell Lloyd Liu was born via a gestational surrogate, and she looked utterly in love with her new addition. 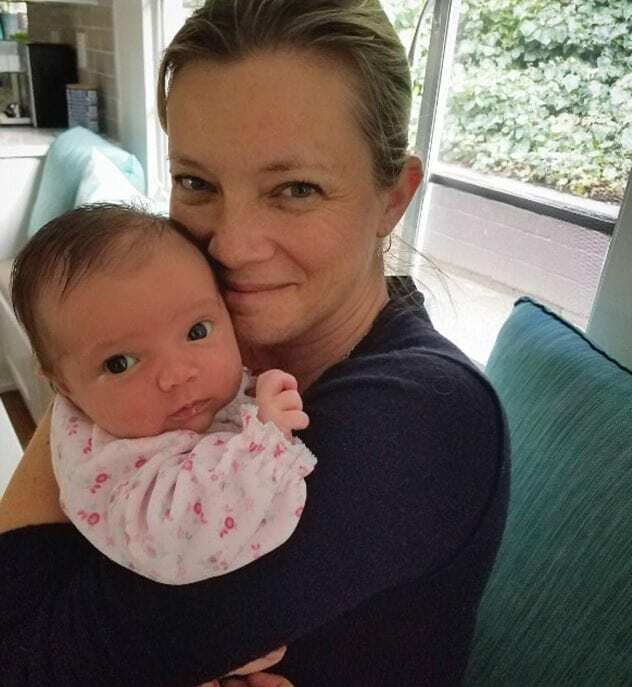 Over the course of her career, Amy Smart has made no secret of the fact that she has always wanted to be a mother. While she loves being an actress, she always felt as though there was something missing from her life. When Amy and her husband, Carter Oosterhouse, realized that they couldn’t have their own children, they enlisted the help of a surrogate. They kept this process a secret from the world, and only announced the news of their first child after their daughter was born. Amy looks like a complete natural. It’s always a surprise when female celebs suddenly give birth, but it’s even more surprising when male celebs announce their new adventure into the world of parenthood. In June 2017, Cristiano Ronaldo sent fans into a frenzy when he shared this photograph on his social media page. Within this announcement, he confirmed that he was the proud father of two adorable twins. Eva Maria and Matteo were welcomed into the world via surrogate – the identity of which is still a complete secret. Nowadays, Cristina has his hands full with four children! 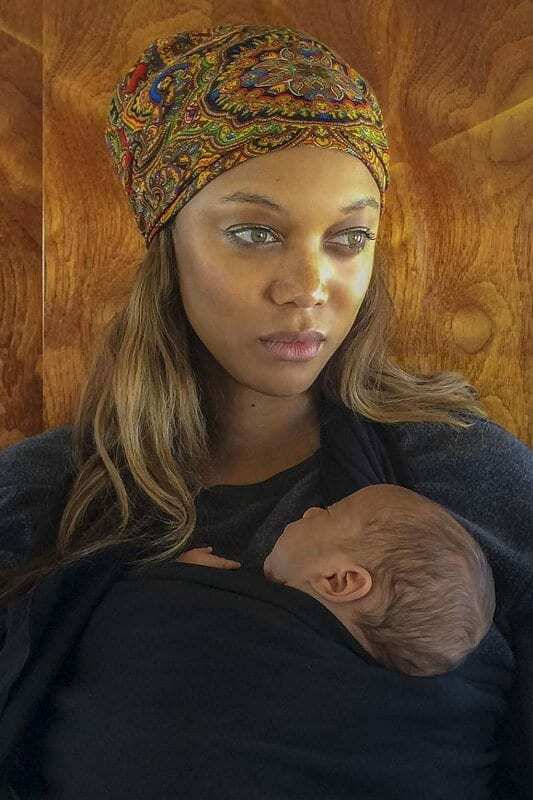 Tyra Banks has famously been an independent woman who doesn’t need no man in her life, but that doesn’t mean that she’s never wanted to be a mother. In fact, Tyra has always longed for a baby – but never felt as though she had the family unit to welcome one into the world. Because of this, fans were shocked and surprised when Tyra announced a new arrival in 2016. York Banks Asla was born via surrogate, and Tyra kept the news a secret from everyone, including her closest friends and family. If you’re a fan of crime dramas, there’s a high chance you’ve seen Karla Souza on your screen. As we watched this actress take on the role of her pregnant “How To Get Away With Murder” character in 2017, we had no idea that she was actually pregnant in real life! Karla kept the news away from the spotlight, and it wasn’t until she shared an adorable snap of her baby girl in April 2018 that she confirmed the fact that she and her husband were parents. Welcome, baby Gianna! Joseph Gordon-Levitt has always tried to keep his personal life away from the cameras, and although we know that he is married to Tasha McCauley – details about their relationship are pretty scarce. That’s why it was both a surprise and not a surprise when they kept their baby news a secret from the rest of the world. McCauley did everything she could to hide her baby bump from cameras, and they later hid the pregnancy as a whole. We only knew they had a child when they were spotted out and about with a stroller. Charlize Theron is now the proud mother to two children, but fans had no idea that she was expecting either of them until they were welcomed into the world. She was able to hide this news because she did not carry her children herself. Instead, she went through a scrupulous adoption process for both children that allowed her to be their legal guardian. She decided to keep both of these adoptions a secret, to ensure that it did not complicate matters, or throw them into the limelight too early. What a smart move. Although we all know her as Felicity, it’s fair to say that Keri Russell has built up an impressive career for herself as an actress. Her personal life is often splashed across magazines – which makes it even more surprising that she managed to keep her baby a secret! In 2016, Keri welcomed her little Sam into the world, but nobody knew she was even pregnant until she just happened to stroll down the street with her new baby in tow. It’s believed that she wanted to keep her pregnancy as private as possible. As one of the most famous reality stars in the world, Kylie Jenner is used to having her life laid out in front of the world. We’ve watched it unfold on our television screens and on social media, and not a day went by where we couldn’t keep up with what she was doing. So, when she suddenly disappeared in late 2017, we didn’t know what the heck was going on. In February 2018, it was confirmed that Jenner had taken time away to enjoy her pregnancy in peace. She confirmed this in the most adorable video that made us all sob uncontrollably.